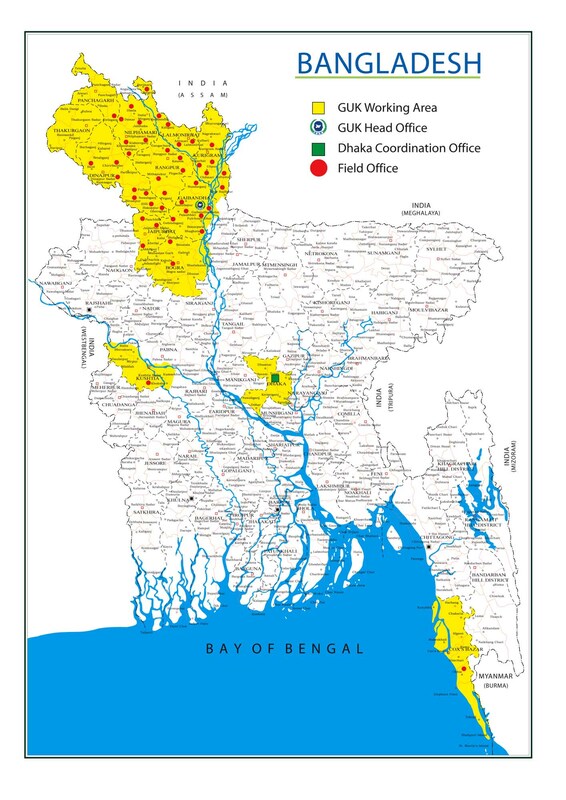 GUK has reached thousands lives of poor and extreme poor throughout the northern part of Bangladesh energetically promoting economic and social development programmes relentlessly works for poverty free prosperous country. So now you can help GUK development programmes especially in education, health, livelihoods microfinance to touch more people within our working areas. Any kinds of donation irrespective of amount may help to go a long way of GUK fostering qualitative education, better health with sustainable wealth and improved standard of life and livelihoods for more poor and extreme poor people throughout Bangladesh.